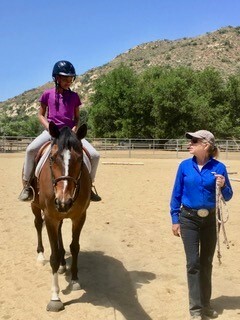 Reflections Farm Ranch, located in Valley Center, offered a free 5-day Spring horse camp for Camp Pendleton military children ages 8 to 18. Since 2016, Reflections Farm Ranch has hosted 450 military children from San Diego County, with 50 coming from Camp Pendleton. Our Camp Pendleton ASYMCA will be partnering with Reflections Farm again in June, July and August to offer more camp experiences.